New Award Winning Book Reveals The Secret to Defeating The Second Leading Cause of Death in Women! methodology and remarkable craftsmanship. It started with the most shocking news anyone could ever hear, “You have cancer!” Once the disbelief wore off, the questions started to surface, “Where does a person start to unravel this mystery?” “When I was diagnosed with breast cancer, I had two small children ages six and nine. Clearly, there was a lot at stake, so I did what most patients do, I searched for information about the experiences of others and found nothing on treatment strategy or where to begin when a patient falls into the cosmic cancer bunny hole. There wasn’t one comprehensive resource for a patient that provided educational clinical strategy to overcome and beat this disease,” said Doughty. “The goal in the book, Breast Cancer! You’re kidding…right? is to give patients a step by step approach utilizing scientific methodology to strategize their treatment plan and minimize the risk of recurrence, utilizing decision matrices, discussion documents, clinical consultation worksheets, and the importance of recording all pieces of information gathered from their physician consultations.” Doughty prepares one of the most dramatic revealing books for anyone dealing with this dreaded disease and expertly designs it to make the reader pause and reflect on their brilliance and ability to defeat this disease with a proven strategy. You will be on the edge of your seat with every single word in this book. It captures it’s readers from beginning to end, and makes them want to live their life through the prism of uncertainty and have one rockin’ hot good time. This is a must-read and an adrenaline thrill ride from start to finish, that you cannot put down. Catherine Doughty, MS, CCHI is an award winning author who lives with her two children in Bellaire, Texas. Her career as Director for a Department for Diagnostic and Interventional Imaging is enhanced by the fact that she is a Lean Six Sigma Black Belt. 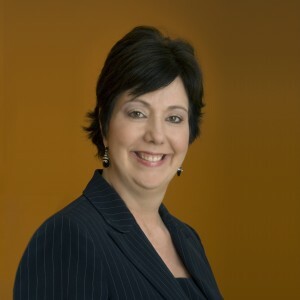 She serves as an adjunct associate professor for three universities and holds a Master of Science in Biomedical Informatics earned at the University of Texas. She is available for interviews, media appearances, radio interviews, book signings, and speaking engagements. 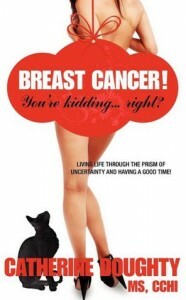 If you would like a review copy of the book or additional information on the secrets of scientific methodology or would like to meet the physicians that endorsed this award winning book, please visit her website at http://www.thecancercat.com. In order to contact the author directly, send an e-mail to cldoughty@yahoo.com or telephone at 832-545-6239. I think my grandmother would have enjoyed this book. She was a two time breast cancer survivor. Oh honey, I so know what you mean!